Guitarist Zakk Wylde was a recent guest on SiriusXM’s The Jenny McCarthy Show. A few highlights are posted below (as transcribed by Blabbermouth.net. Watch Zakk’s entire interview below. Black Label Society’s Grimmest Hits, will be released on January 19th, 2018 through Entertainment One (eOne). I love Zakk’s sense of humor, his devotion to the Osbournes, his respect for Ozzy’s career, and his admiration for all the Ozzy guitarists who came before him, particularly Randy Rhoads. 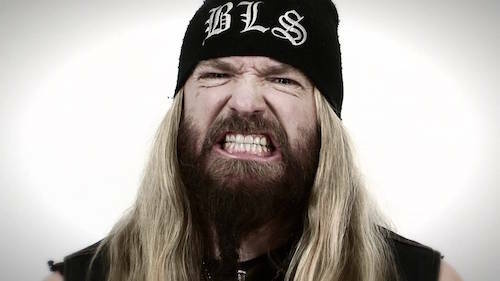 Zakk always seems to be happy, no ego, and just a “down to earth” dude. Totally agree! In my Top 5 of all time favorite guitarists. Zakk just seems like he is a regular guy, and doesn’t give off the whole “rock star” vibe. You can tell he has a great sense of humor, and doesn’t take himself too seriously. He’s the type of guy you’d just like to sit down and have a beer with! Given the fact that he is undoubtedly one of the best guitarists out there, and is constantly lauded as such, it’s a rare thing that he is able to be such a down to earth guy. Kudos to Zakk!